Dhankot Traders is leading organization that is immersed in providing standard and tailor-made sizes of Eye Bolts at the most competitive prices. We have various types of Eye Bolts that consist of Lifting Eye Nuts, Lifting Eye Bolts, Scaffolding Eye Bolts, and much more. All these are well constructed using carbon steel, forged mild steel and stainless steel. 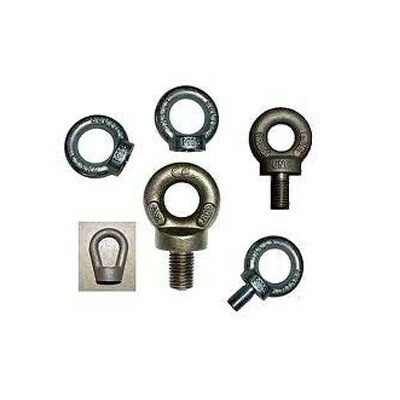 Various industries like ship repairing, shipping, oil, & gas, automobile, petroleum, etc., have appreciated our premium quality bolts as these are sturdy, rust proof and easily installed in various application areas. Manufactured according to DIN Standards, we are recognized as one of the main Manufacturers, Exporters and Wholesale Stainless Steel Eye Bolts Suppliers from India.